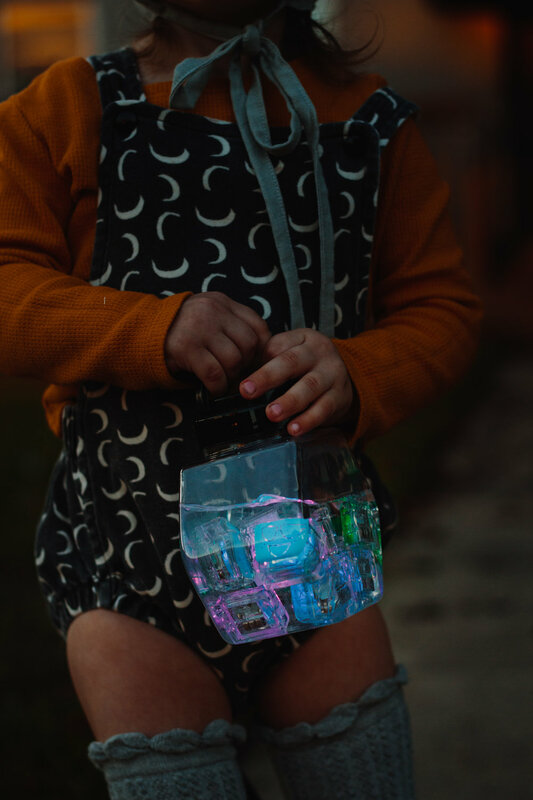 Quickly spot your child in the trick-or-treat crowd with these easy DIY lanterns! We used a simple plastic container with a little handle; you can use just about any container you probably already have laying around the house! Just fill with water, and plop in some Pals for an illuminating Glo sure to light your way through the night.